Hard Facilities Manager (Neebosh) required for our client based in Farnborough. This is an excellent opportunity for an established Hard Facilities Manager (Neebosh) to come in to a large established and growing organisation where you will be given a lot of responsibility, answering only to the board of directors. You will be given a free hand to implement your own processes and health and safety across multiple sites. The Hard Facilities Manager (Neebosh) represents a varied role where your responsibilities will be varied. The Hard Facilities Manager (Neebosh) role is a mix between Health & Safety and hard facilities realistically so you must have a strong Health & Safety background with, ideally, a Neebosh qualification (IOSH would be considered). You will be responsible for the Health & Safety of the company so risk assessments etc. The Hard Facilities Manager (Neebosh) role is not a hands on role, although and electrical or mechanical experiences would be beneficial although this is far from essential. But you MUST be able to organise the relevant subcontractors for reactive and proactive maintenance so experience with sub-contractors is very much a must. You will also have permanent people underneath you here too and you are responsible for over 20 sites. The role is to be predominantly office based (around 3 days a week) and a site visits the rest of the week (around 2 days a week). Any business millage is expensed at 45p per mile. For the Hard Facilities Manager (Neebosh) we are looking for an established professional who has a track record in facilities management (with a hard facilities bias) and a good Health & Safety background too. You will have worked multi-site before, managed both internal staff and external contractors and be able to manage your time accordingly. The successful candidate will head up this division and so you will be given complete control. And procedures or change is down to you and how you manage the department is, again, completely your call, answering only to the board of directors. The company are an established and growing company who have more than 20 sites and are planning another 2. It offers the chance to come in and effectively head up a department and they are known to reward their staff both financially and from a career development. 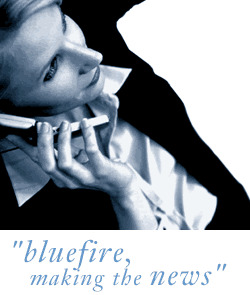 Bluefire Consulting is an equal opportunities Employment Business/Agency specialising in Health and Safety recruitment on a UK wide basis.